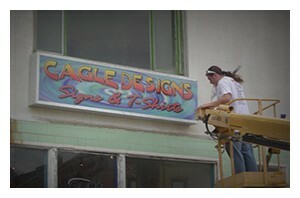 When it comes to sign installation or graphic installation, rely upon the expert technicians at Cagle Designs. We employ highly experienced sign installation professionals. Sign installations require specialized equipment, experience and knowledge. Our professionals are fully versed in all installation codes, protocols and ensure all the necessary steps are followed to make sure your sign meets all regulations and withstands weather conditions. If it’s signage installation, you can trust our team to be professional, competent and reliable. Our goal – to help your business make the best first impression with incredible signs and graphics. 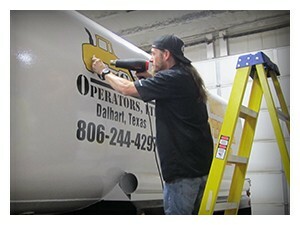 We provide removal service from simple decals to a full wrap removal. We use the latest technology and the utmost care in removal procedures. We use only bio-degradable removers, keeping the process eco-friendly. FYI: We can assure you this process may sound simple, but it may in fact take as long as the new installation process. This service is based on an hourly rate per project.